We've worked our way through the 2014/2015 reading list and just have one more book after this before we start the new cycle! It's really hard to believe that we're going to be starting on our third year soon! The idea to start the book club originated with a desire to make more time to read... and boy did we put a dent in that goal! If you think about it, that's two dozen books under our belts! While I love to read, it's a guilty pleasure for me. (I say a "guilty pleasure" because while I value the importance of reading and engaging the imagination, there's often times so much to do and work on that when I take time for myself, I feel like I should be doing something else.) I honestly don't know if I would have read all these books had I not had the book club to prompt me. So I'm grateful for that and for all the friendships I've made through the book club! CLICK HERE for the 2015/2016 book picks! The next round is a little different. All the books that were chosen were selected by the participants of the group! 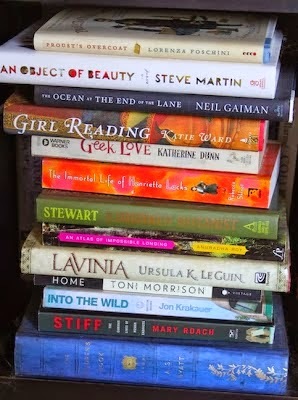 Usually I sort through my "to read" pile and cobble together a list that way. So it'll be interesting how different the titles will be! Near the beginning of the book, there's a fancy costume party given by the main character. We picked up a smattering of whimsical pastries from the new bakery in town to accompany our in-person meet-up. The tarts and Tigre tea cakes come from Warrior King Pastries. Not only were they a feast for the eyes, but they were sumptuously delicious as well! Laurel made this necklace. 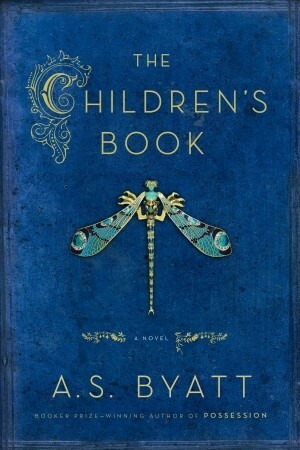 Here's what she had to say about it: "The piece is based upon the first few pages of the book where the boys discover the young man who lives in the tunnels under the museum. My focal represents the ornate Gloucester Candlestick that Philip, (the young man they find) has drawn again and again in his sketchbook. I went crazy with these gray beads to represent the dirt and grime on him and paired it with the green Czech glass squares to represent his transformation – thanks to a bath and a trip to the country house! I didn't get very far in the book, so this really is only based on my first impressions of the book." Even though I've really been pressed for time, I made two pieces! Granted, they are probably the simplest pieces I've ever made for a book club reveal. I took my own advice and "made a simple pair of earrings"... twice! The first pair of earrings were inspired by the first introduction of Olive Wellwood. "He took pleasure in the appearance of his visitor, who was dressed in dark slate-coloured grosgrain, trimmed with braid, with lace at the high neck and fashionably billowing sleeves above the elbow. Her hat was trimmed with black plumes and a profusion of scarlet silk poppies, nestling along the brim. She had a bold, pleasant face, high-colored, eager, firm-mouthed, with wide-set huge dark eyes, like the poppy centers." 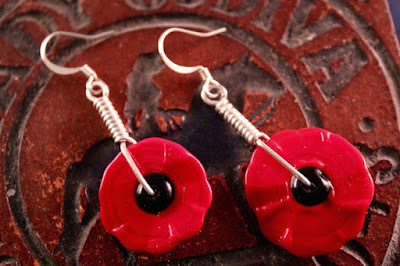 The earrings feature lampwork glass discs made by Ren Farnsworth. I added a little bit of extra coiled wire, so that the earrings dangle and act almost as a stylized stem. Later in the book, there's a party sense where all the children and young people are asked to make lanterns for decorations. There's a passage that stuck out at me: "He painted a dull red horizon, with shadowy grey forms rising high above it. There were squat cylindrical forms, and tall bottle-shaped forms, and shapes like hives and casques. There was a flowing festoon of flame and tongues of pewter-grey smoke from the summits, the skyline of Burslem, made elegant as a party lantern." Eventually the party lanterns catch on fire and these simple earrings capture that moment of engulfing flame. 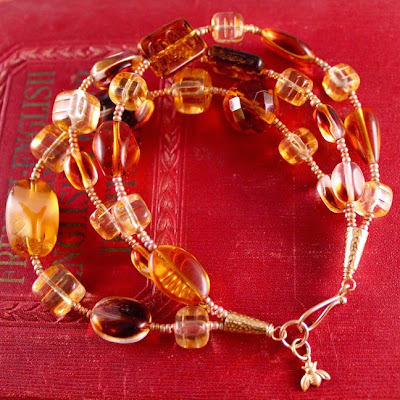 In them, I've used vintage Czech glass beads. 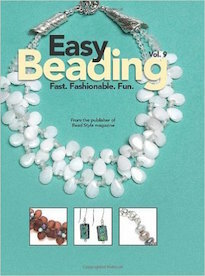 The beads are hollow and sort of lacy. 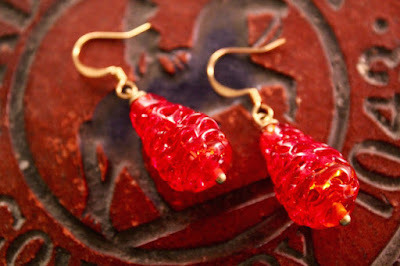 The colors remind me of flames and in sunlight, the beads seem to glow. 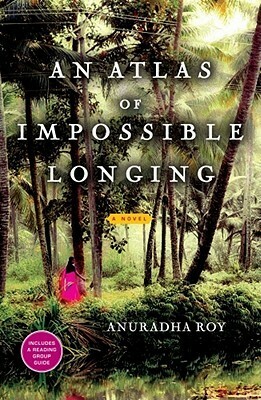 June's selection is "An Atlas of Impossible Longing" by Anuradha Roy. CLICK HERE for the full list of books coming up. 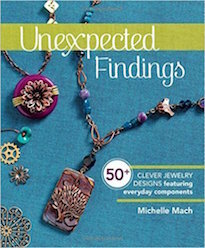 The in-person meet up for June is tentatively scheduled for Wednesday, June 24th with the blog hop the next day. If you're interested in keeping up with what we're doing, CLICK HERE to visit the Facebook page. If you're on Pinterest, we have a supplemental inspiration page. CLICK HERE to see it. 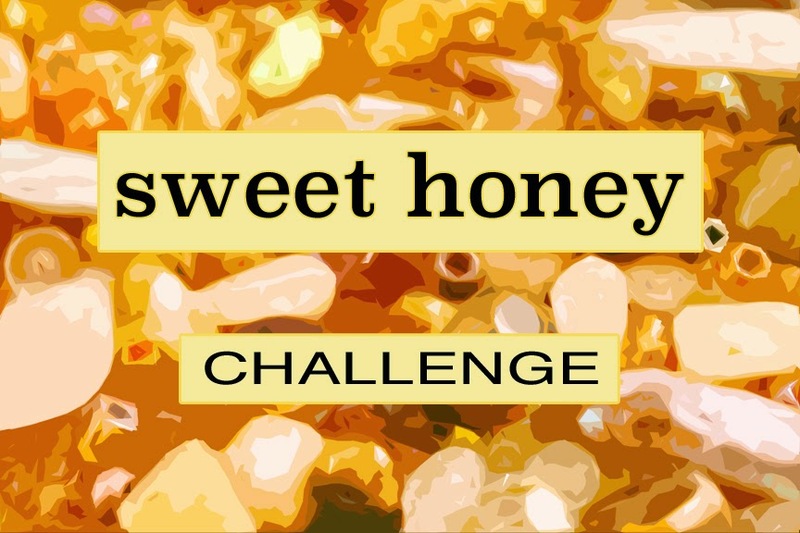 At long last, today is the reveal for the Sweet Honey Challenge! Many thanks to everyone for their extreme patience! I kept bumping the reveal back, but ultimately I think it worked out best and allowed the most people to be able to participate and share their creations. Take a look at what was in this kit! To find out more about the contents, CLICK HERE. I think the kit included a healthy selection of honey-inspired components. But wait... that's not all! Each kit also included a Mystery Component! This one was handmade by me! 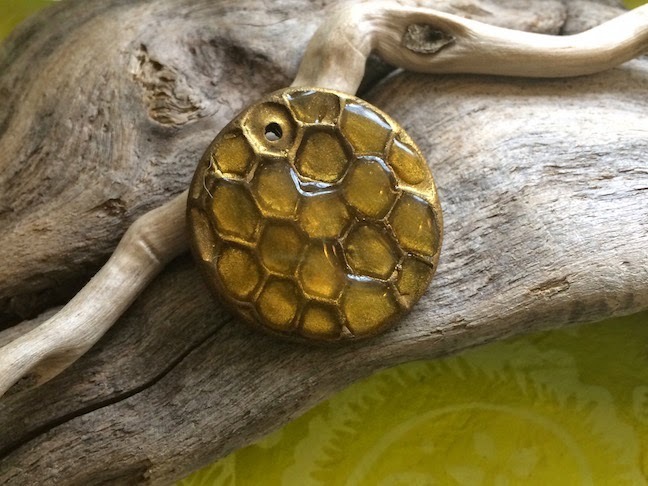 It's polymer clay with colored resin on top to simulate the look of honey. 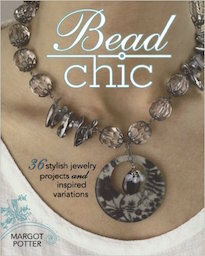 Kate Enniss-Reid made this necklace. Here's what she had to say about it: "I made this multi-strand concoction using all of your beautiful beads. The lampwork bee is by Debbe Hull. 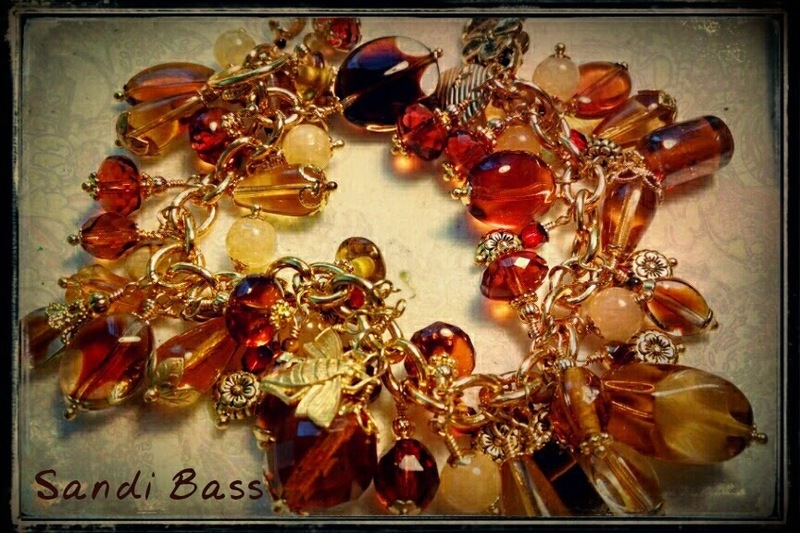 I've never been much of a person for yellows or golds, but I really love this combination and will proudly wear it!" 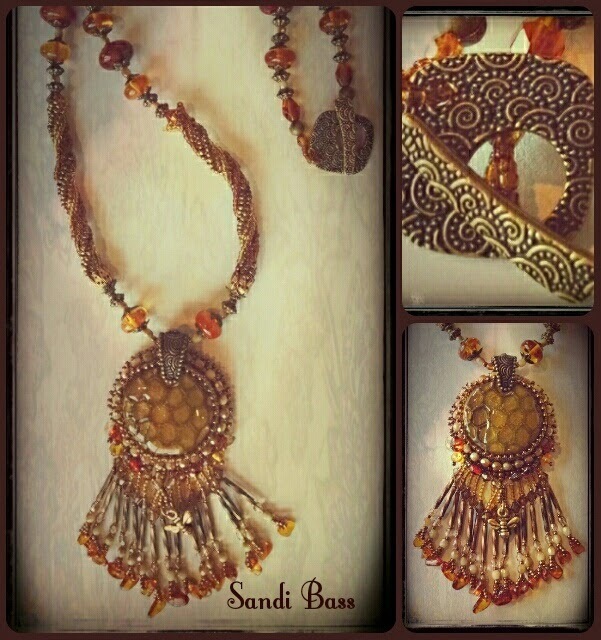 Sandi Bass made these pieces. Here's what she had to say about it: "Thank you for allowing me to participate. I appreciate the effort that goes into putting this together. 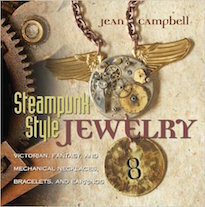 Here are the pieces that I created using your components and a few of my own." "In the necklace, I used the adorable honeycomb Mystery Component pendant, the little bee charms, and amber chips and fire-polished beads." Sandi Bass also made this bracelet. 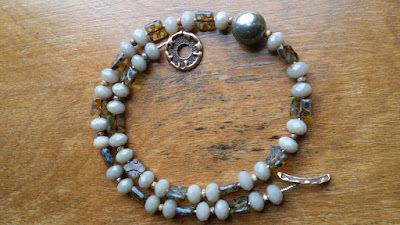 I made this multi-strand bracelet. I think it's a good way to showcase a lot of the different elements that went into the kits. I used the repeating blocks of seed beads to help unify the entire piece and make it more cohesive. 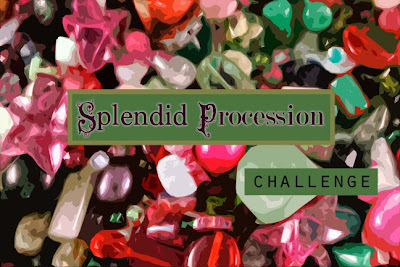 Up next is the Splendid Procession Challenge. I hope you'll join us on the reveal date is Thursday June 18th. Thanks again for all your support and kind energy! Time is a wiggling, squirming thing. It's slippery like a fish. It darts and jumps and is hard to catch. At times though, it seems to stand still, immobile and suspended, even in the most quickly moving waters. The thing about time is that if you happen to catch a bit of it, you can't squeeze too hard... otherwise you'll crush it. After our walk at Catawba Falls, we decided to go out for dinner. We ended up picking King Daddy's in West Asheville. I've been talking up the poutine since my last visit, so we made a point of ordering it. Let's just say it didn't disappoint! We also ordered the fried chicken livers. While they were a little under-done for my usual liking, they were still delicious and paired well with the mushrooms. I really enjoyed the pumpkin waffle and chicken breast I had last time, but wanted to try something different. 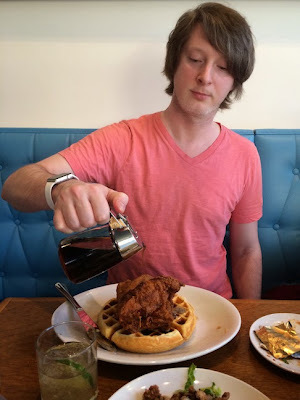 I opted for the cracklin waffle with chicken gravy. Chicken gravy is basically pot pie innards. It was so good that I inhaled it! Here's a picture of William pouring maple syrup over his delicious chicken and waffles. I'll miss the coziness of the old location and the incredible light that filtered in through the old factory windows, but the new place is brighter, lighter, and much bigger. I won't miss having to wait in a line that snaked around the block. Even though there was a little wait in the new space, the line moved pretty quick. I had a maple and smoked sea salt liquid truffle... the perfect way to end the day! Azalea had an early dismissal day at school. So when she got out, we decided to go on a little outing. 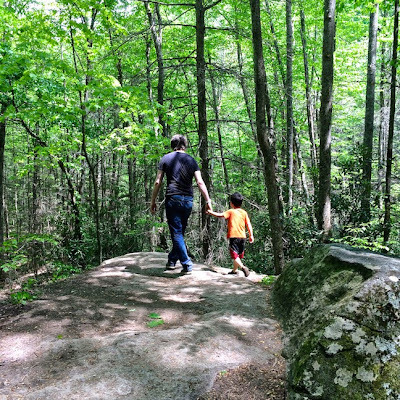 The Asheville area is immersed in natural beauty and surrounded by amazing hiking. Instead of going on a hike that we've previously done, we thought it might be nice to try a new place. 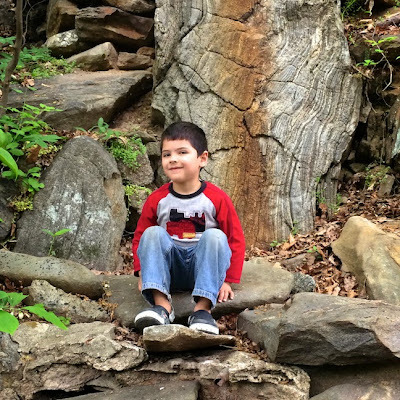 After a little bit of research, we settled on Catawba Falls near Old Fort. 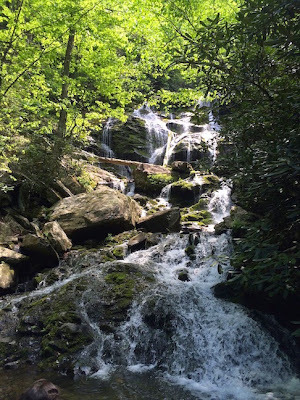 The review stated that it was an easy hike, just shy of three miles, with a 100 foot waterfall at the end. It was enjoyable walk. The path is mostly in shade and runs along water. So even though it was hot out, the temperature was comfortable and no one got too sweaty. Along the path were ruins of buildings and even a dam. The kids loved inventing stories about castles and pirate treasure... which with the tumbled pieces of glimmering mica lining the riverbed was not a far stretch of the imagination. To add to the stunning visuals, there were even art installations. I got a message from a friend asking me about what adventures we had planned for our vacation. While I had a few ideas, one of the things I looked forward to most was spending time with my niece and nephew. After our trip to the Botanical Gardens, we picked Azalea up from school and went to the mall. To action seekers, this might not seem very glamorous. But it was nice to be able to ask her about her day and pick out a shirt and browse the bookstore and share a cupcake in the cafe. Almost by magic, it seems like Azalea has transformed into a little person. This is not to say that babies aren't little people, but now that she's older, it is more apparent that she is her own person with her own ideas and her own thoughts. She is an individual. I remember when she was just a bundle of sweet, milk-smelling smiles, balanced on my hip, covertly wiping her face on my shoulder. I remember telling her stories of my youth. Now she has her own stories. While we might not be zip ling through the trees or exploring palatial estates, I cherish these little moments much more. For they make up a much bigger adventure, traversing the passages of time. 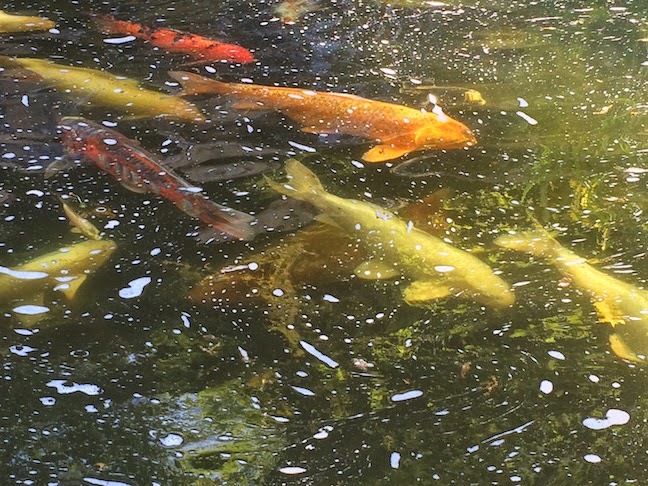 One of the very first places that I visited upon my introductory trip to Asheville, was the Botanical Gardens. Cynthia and Greg got married there. When I think back to that initial visit, what strikes me most is how it marked a period of coming together. Before that, each of us sort of led our own lives and while we were connected to one another through our parents and the occasional awkward phone call, the distance between us was palpable. Over the years, this place has been one I associate with family. 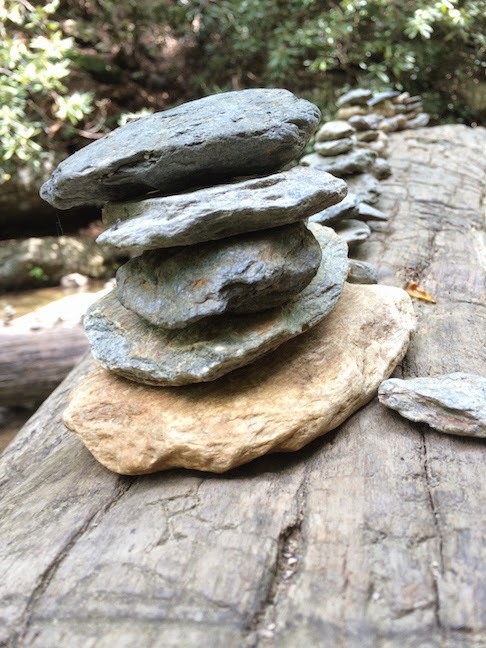 We used to go down by the creek with our sketchbooks and draw for hours. We'd walk the trails when we'd hit a creative block and needed fresh air. We would comb the banks and collect pebbles and bits of tumbled glass. On hot days, Azalea would put on her bathing suit and splash around, cooling off in the water. 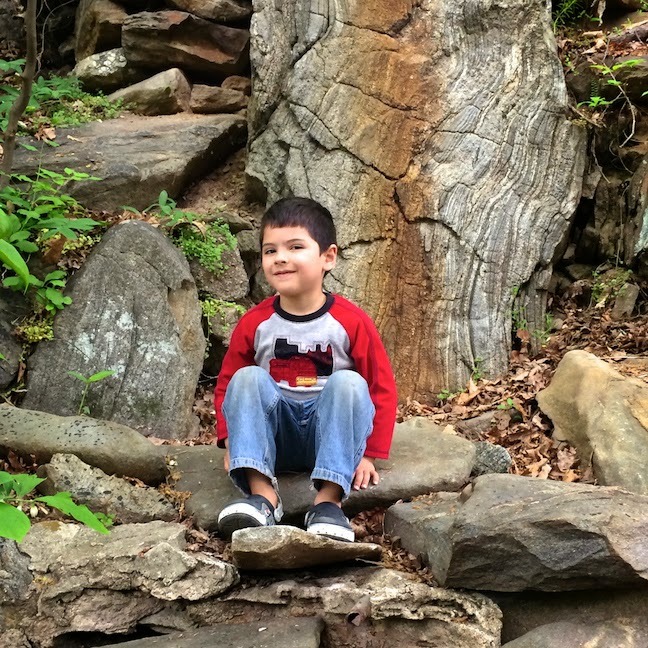 We would picnic under the shade of trees and watch other people with other families. Our trip today was another installment in our history with this place. 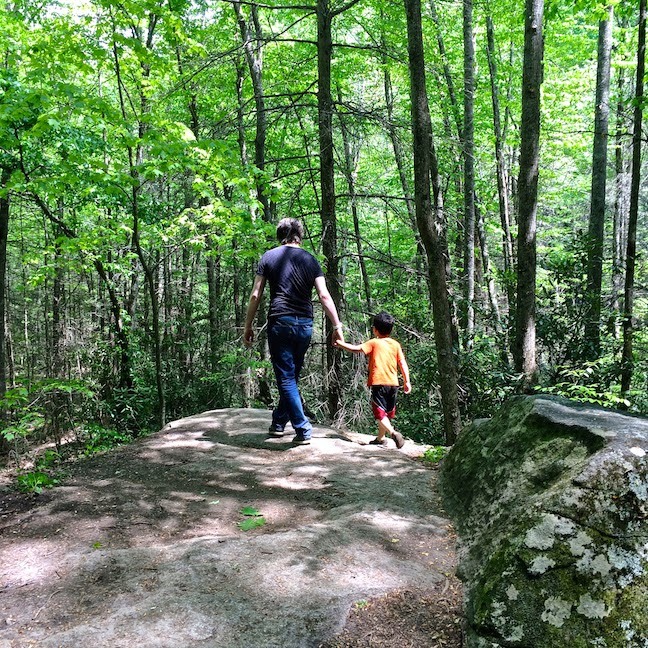 We walked the paths, William and I identifying familiar plants and marveling at ones not common to Pennsylvania. Max ran around spotting frogs in the water and knocking on "troll doors". Cynthia commented on various flowers, noting unusual colorings or interesting shapes. Even though it is many miles from where I grew up and in a place I no longer live, I still think fondly of this little patch of earth. For me it is a touchstone to family and memories and I'm glad I could share it today with William. We arrived in Asheville late last night in the small hours. Naturally instead of going right to bed, we spent a few hours chatting and catching up. Today is our day to acclimate to our surroundings, catch up on errands we did not get to before we left Pennsylvania, and plan the rest of the week. The day began leisurely with a trip to the local post office and a trip to Filo. 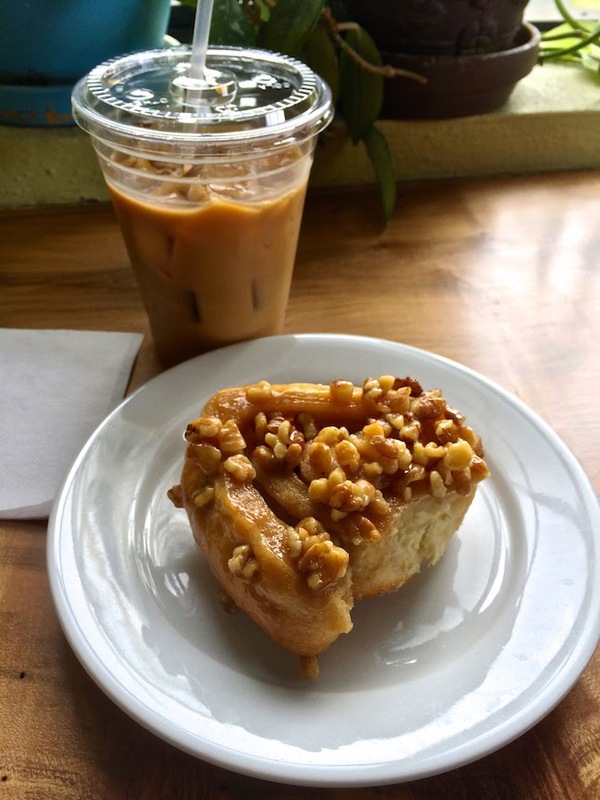 I indulged in a sticky sweet bun studded with walnuts and a much needed iced coffee. While we certainly have a lot of projects that we want to attend to while we are here, it is an odd sensation. Usually William and I are so wrapped up with building the business, our various projects, or trying to plan for the future, that we rarely have an opportunity to sit together and enjoy a quiet moment and a coffee. It was a nice way to start our trip. It is late at night. We are about to leave on a trip in the morning. The house is quiet except for the tumble and whirrrrr of last minute laundry in the washer. The moon is full and bright, casting moving shadows on the landscape. I'm busily cleaning and preparing for our trip. I'm putting back the box of books I know I won't get a chance to read and the extra bag of beads I probably won't touch. I've laid out my clothes, editing two t-shirts instead of ten. From the growing pile of toiletries, I've selected the essentials... knowing that if I forget something, there is no shortage of sunscreen or toothpaste or whatever I might need where we're going. I run through the list of things to do, the things I must remember to remind, and the things I'd best forget. The act of going through the list crosses an item off the list. In recent years, my traveling has been limited and I've gotten out of the routines. I used to have a bag of toiletries already packed and at the ready. I used to have travel clothes already planned... clothes that could be layered, did not wrinkle, were comfortable (but cute), and all went together. It speaks to the changes in my life, of settling down and growing roots and growing up. It'll be nice to get away and see my family and have a change of scenery. Traveling always puts me in a thoughtful mood. I think about the people we pass, manning the lonely gas station in the middle of no where, or pouring coffee in a crowded cafe. I think about the mountains and the trees and the little streams we pass by. I wonder who was the last person to walk down that path, picked flowers in that pasture or even thought the things I'm thinking. It's late at night. We are about to leave on a trip in the morning. There's still cleaning to done and one last project to squeeze out and another list to make. My utmost gratitude goes out to everyone who purchased an Endless Sky Design Kit! The kits are now sold out! I'm really looking forward to seeing what folks will create with this kit! It's so airy and light! Keep your eyes peeled for the Sweet Honey Challenge Reveal on Thursday, May 21st! When I was growing up, the library was a special place. Not only was it the place of answers (this is before one could whip out their phone and Google it), but it was a place where anything could happen... a hero could triumph over adversity, long lost siblings were found, and magic was commonplace. The library allowed me to see and experience the most amazing things. That's why Novel Art is near and dear to me. 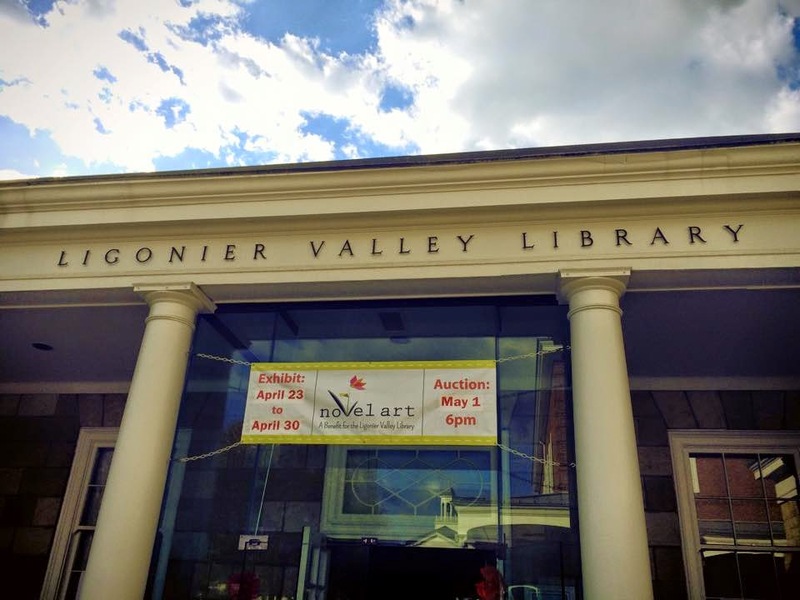 If you haven't heard of Novel Art before, it's a creative fundraising effort for the Ligonier Valley Library. Books that have been taken out of circulation are given to participants who then transform them into paper crafts and works of art! 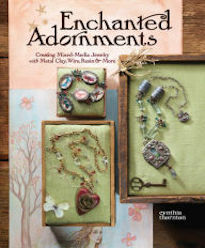 It's a great way to reuse books destined for the landfill and help the library raise money in the face of budget cuts. In the past, Novel Art has raised money to improve their technology and help with children's literacy and early learning development. 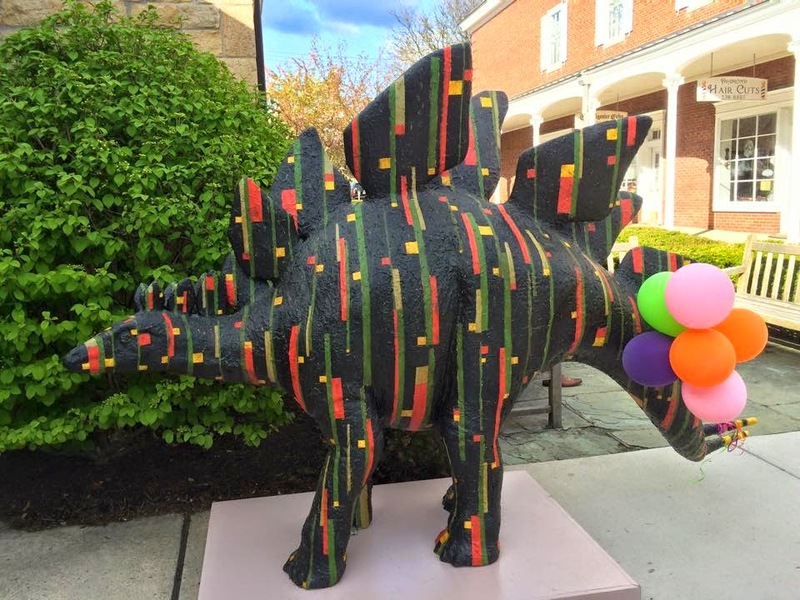 It's a really great project that helps a cornerstone of our community! This year's Novel Art was supplemented with additional events leading up to the exhibition and auction. I was fortunate enough to teach a class at the library and The Kitchen on Main Street had a Ladies Night with featuring paper arts out of upcycled books. They also did something new this year and offered a professional category! Here's a snapshot of two of the professional category entries! The one on the left was created by Michelle Mach and the piece on the right was made by Jenny Davies-Reazor. 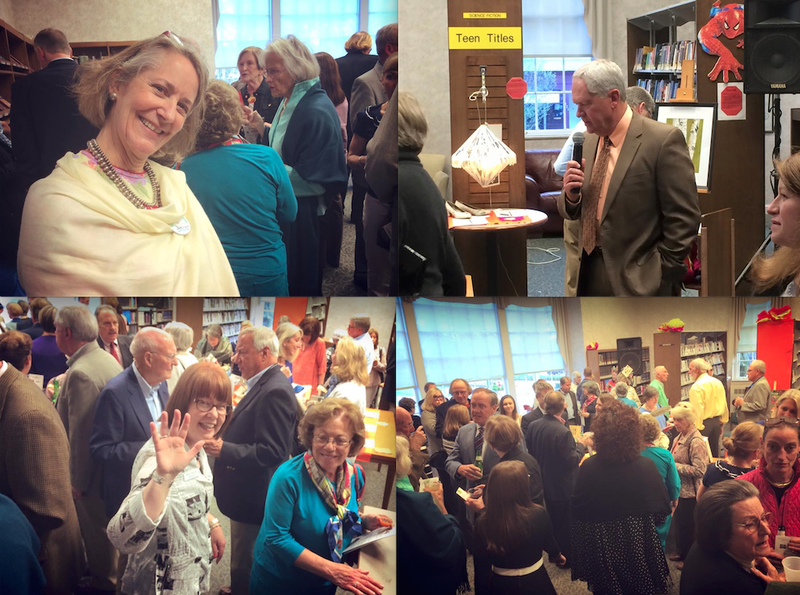 One of the things that I enjoy about the Novel Art auction night is that so many come out in support of the library! It's nice to celebrate such an important local institution with your friends, neighbors and peers from the community! This is a photo collage of some of the snapshots from the evening. 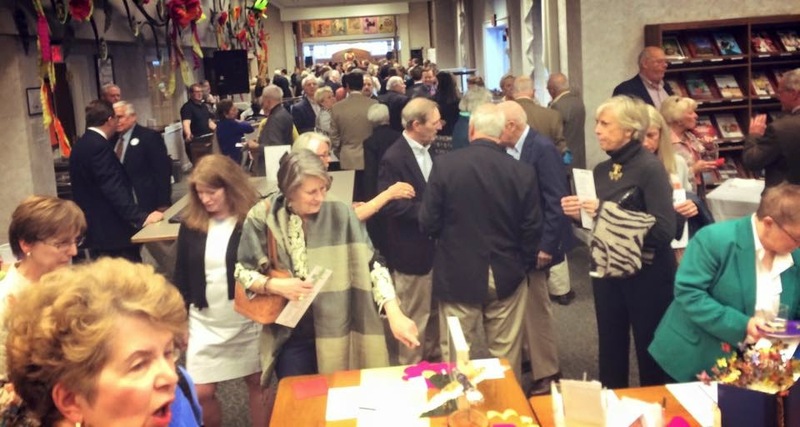 At the upper left is Pat Childs of G Squared Gallery Ligonier who co-chaired the event with Theresa Gay Rohal of the Compass Inn Museum (not shown). To the upper right is the recently retired WJAC news anchor and local celebrity, Bill Brown. Below and to the left is Janet Hudson, who is the director of the Ligonier Valley Library. On the bottom right is a shot of how crowded it got! I had originally designed a sculpture for Novel Art. I used a clay made out old books. However... I left the clay out too long before working on the sculpture and it went rancid. (Normally, you work with it right away and in thin layers and it's wonderful!) I thought about trying to bake the sculpture to speed up the drying time and help with the funky cheese smell, but it was too big to fit in the oven. Eventually it'll dry out and not be so fragrant and I can seal it up with a clear coat. I had hope to salvage my first attempt in the eleventh hour, but the only thing that'll save it is time to slowly dry out. Since my first project didn't turn out the way I wanted, I had to come up with a backup plan. I had promised to make something for Novel Art and I was determined to make something. So, I whipped up this painting. The background is all collaged book pages with acrylic paint on top. 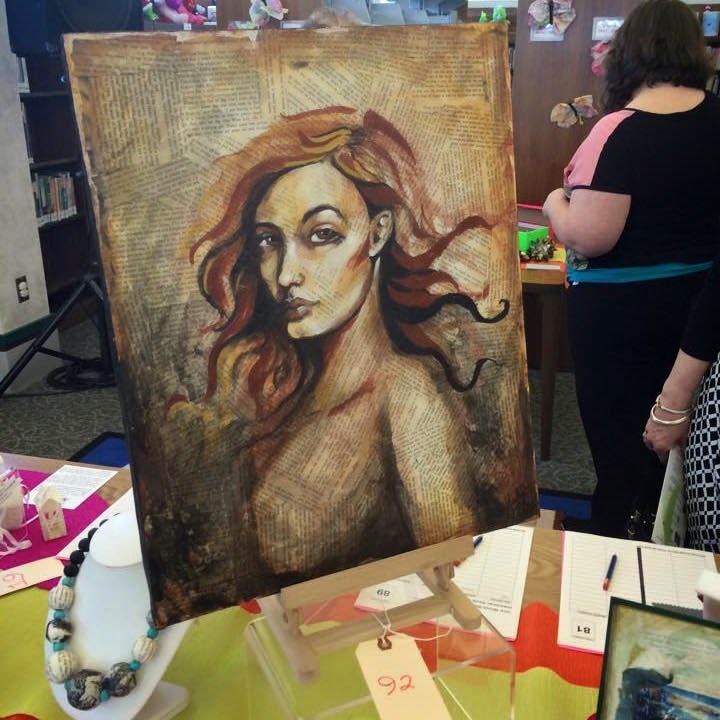 I was happy to see that the painting was won by a fellow artist! It really means a lot to me and I hope they enjoy it for a very long time! What a fun evening and a great cause! I wish that I had taken more pictures of the various projects. There were so many creative pieces that were really awesome and were inventive in their use of the books. 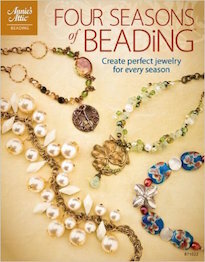 I'm already thinking of what I want to make for next year! I'm thrilled to present the latest Design Kit Challenge: Endless Sky! If you're not familiar with the challenges, they're a really cool way to play creatively and push yourself to work with an assortment of pre-selected components. To participate, you must purchase a Design Kit. This kit features a selection of premium Czech glass (both new and vintage), vintage lucite, quartz rock crystal, vintage glass, waxed Irish linen, 3 feet of hand-dyed recycled sari silk ribbon, aquamarine chip strand, vintage Venetian seed beads, and a Luxury Bead Blend. The Luxury Bead Blend is an airy mix of Japanese Miyuki seed beads, Toho seed beads, Japanese Matsuno seed beads, vintage French seed beads, vintage Venetian seed beads, vintage Czech seed beads, freshwater pearls, glass pearls, Czech glass (both old and new), LOTS of aquamarine, agate, chalcedony, sodalite, stone, vintage sequins, German glass, jade, Swarovski crystal, vintage Japanese glass, vintage lucite and MUCH, MUCH MORE! But wait... that's not all! Each kit also includes a special, handmade Mystery Component! The component is a secret until it arrives at your door! The Mystery Component will publicly be revealed on Monday, June 29th, 2015! 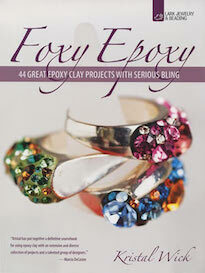 Lately, I've been turning to gemstones for the initial inspiration. In the last kit, I turned to watermelon tourmaline. For this challenge, I sought the creative spark in aquamarine. When I looked at the stone, I thought of the sky... an endless sky, studded with lazily drifting clouds. It's easy to say, "the sky is blue". But in reality, there are lots of colors represented above; there are shades of pale gray, subtle purples, and even tinges of green. The stone aquamarine has all of these colors. In pulling together this kit, I wanted to draw from various skies from memory... from the bright tropical skies of Hawaii, to the cold wintery Northern skies of Pennsylvania, and the clear crisp desert skies of Arizona. This kit attempts to capture that ever-shifting blue. With your kit, using as much or as little of it as you like, create a piece that showcases your creativity, individuality, and artistic expression. 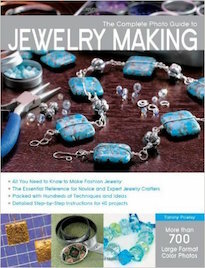 Ideally your creation will spotlight the great assortment of beads included in the kit, but the (endless) sky is the limit with what you can make! Feel free to use beads from your own stash to augment the offered selection. Whether you use a little or a lot of the kit, make sure to keep your project SECRET until the reveal date! The reveal date is set for Thursday, July 16th, 2015! Post a picture on your blog or send one to me to post on your behalf (if you don't have a blog of your own). 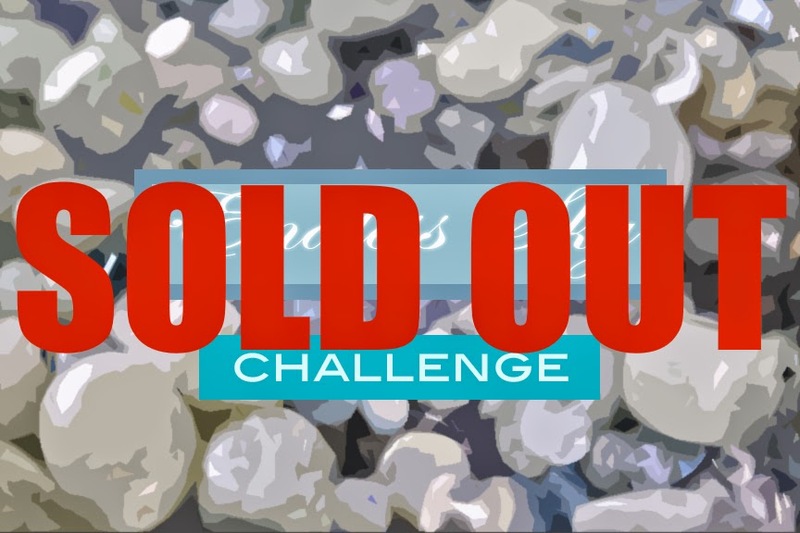 The Endless Sky Challenge will end in a blog hop, sharing all the gorgeous things made with your kit with your fellow participants. I also wanted to mention that all the Design Kits (sold in the US) will be shipped out with Priority Mail. This can take anywhere from one business day to fourteen. For international participants, it may take longer! If you know that it takes a long time to reach your destination (from our shop in Southwestern PA), please place your order early! I will do my best to get your kits out as early as possible, but unfortunately can't be held responsible if it arrives late due to the postal service. And on that happy note... we hope you have an awesome time playing with the kit and makes lots of pretty things! We can't wait to see what you make!